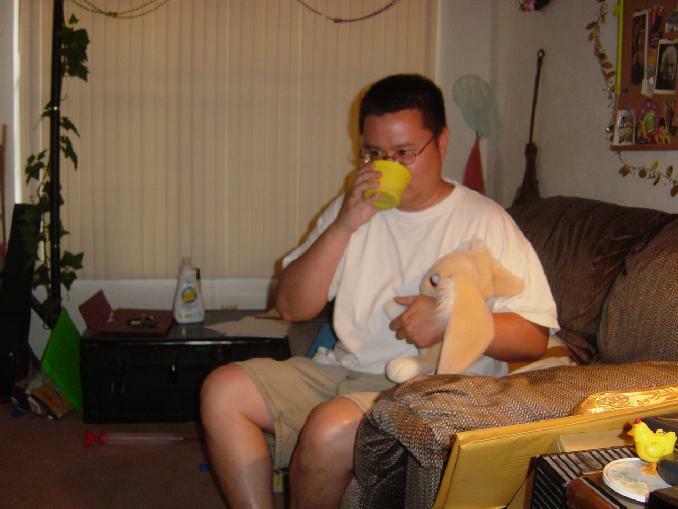 SwankiVYPics: Fred's Visit: Summer 2006! Fred visited me during a rather chaotic time; I was getting ready to move. We still hung out and also went to see Meg in Tampa. 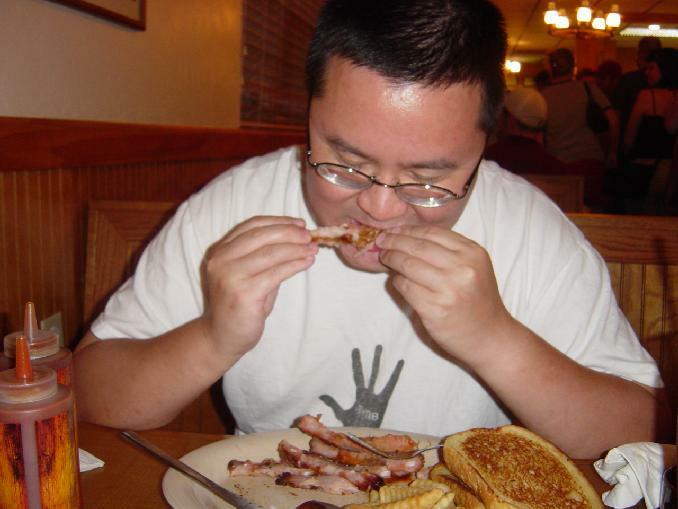 chowin.jpg: Fred got to have his yummy Sonny's fare. 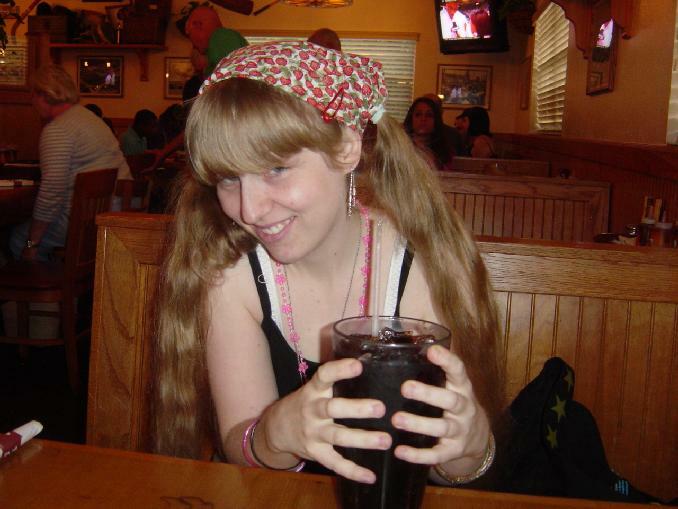 sodabuck.jpg: They practically serve their soft drinks in BUCKETS. 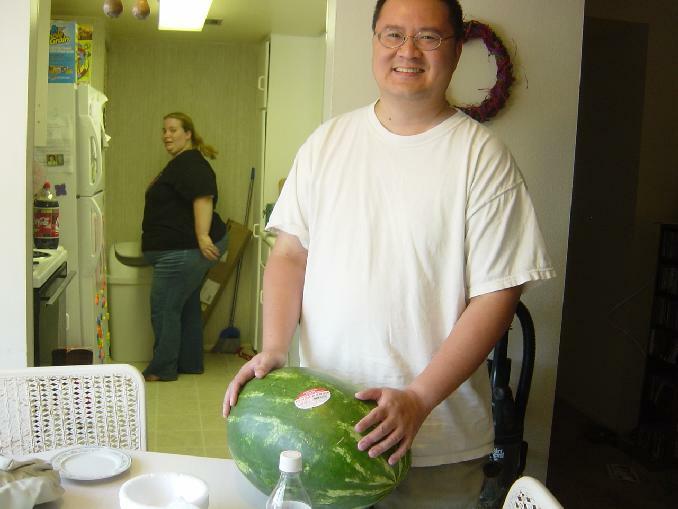 fredmel.jpg: Fred at Meggie's with a watermelon! 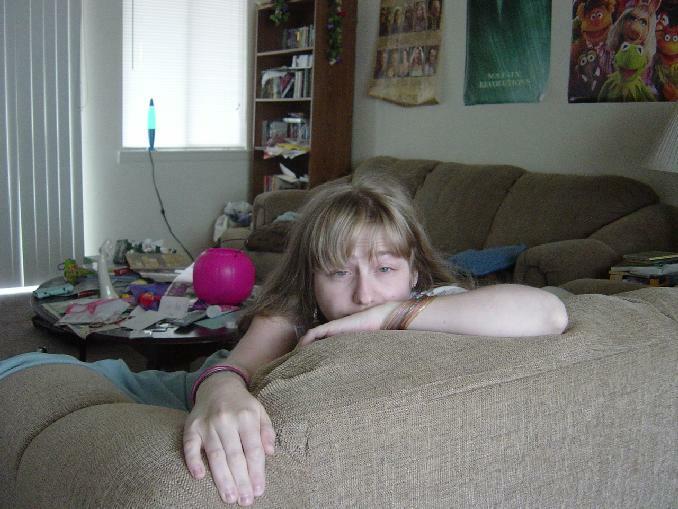 sleepaju.jpg: Waking up at Meggie's. 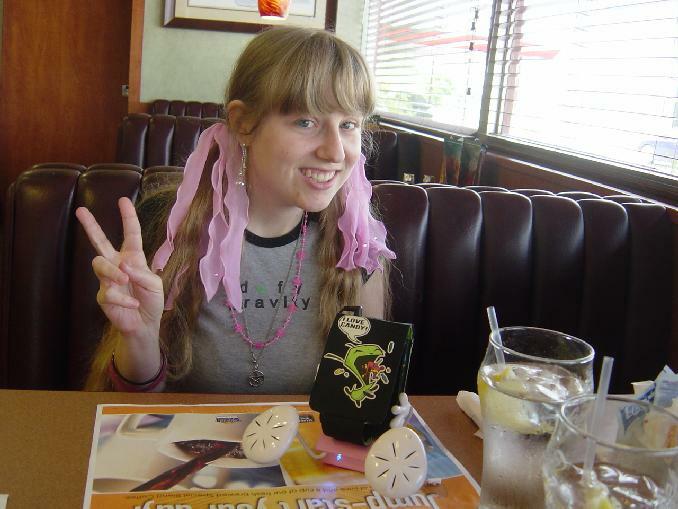 dennmp3.jpg: Here's me in Denny's on the way back, showing off my mp3 player and its cool speakers. 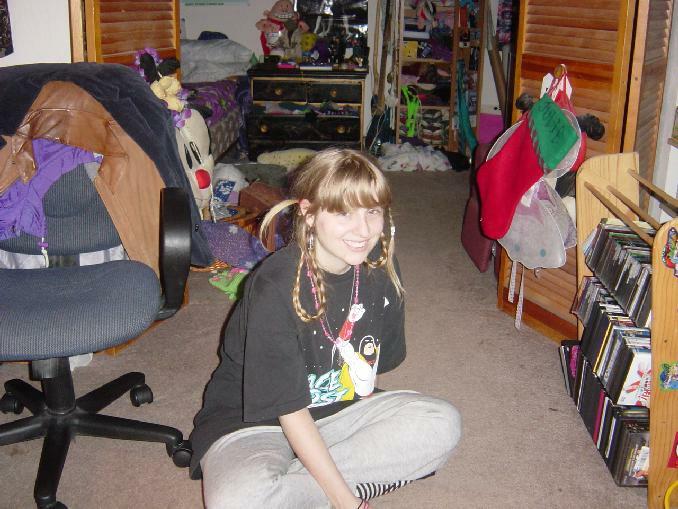 loophair.jpg: Before I go to bed I sometimes do up my hair like this so it doesn't tangle or get pulled. 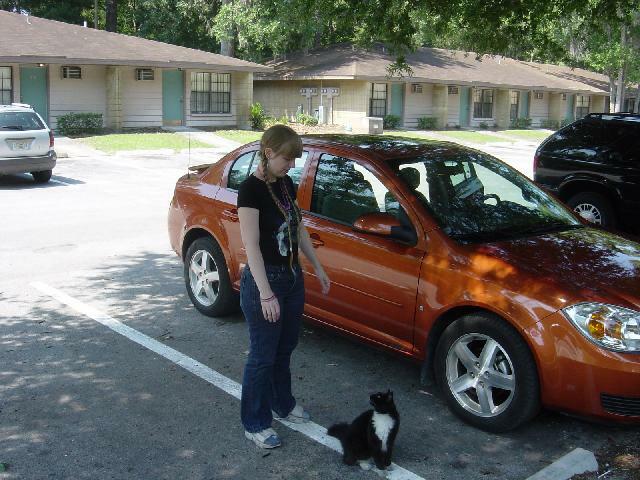 julincat.jpg: We found this cat in the parking lot of my apartment complex. For some reason we didn't take many pictures on this visit. Maybe we were just not in the mood. Weh.